Discussion in 'Chainsaw' started by PAwrestling#1, Aug 9, 2013. Don't they make a hone type device that hooks up to a drill that just deglazes and wont harm the coating on cylinders? 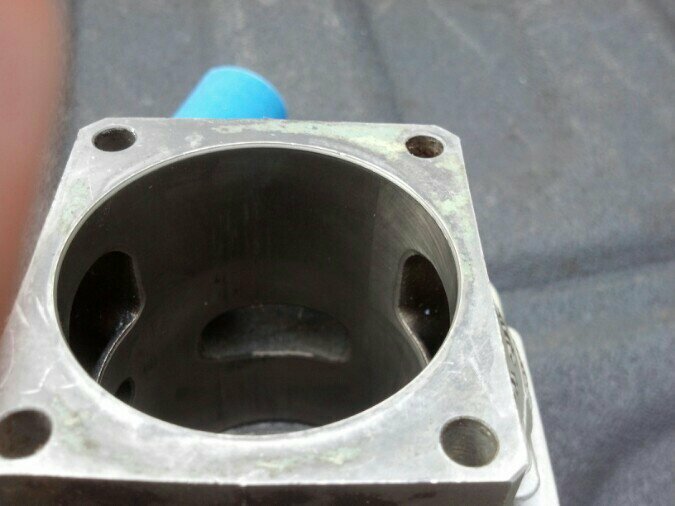 Im just thinking that something should be done when installing a new piston and ring to aid the ring in a good seat??? Am i totally off coarse on this? ohhh and what type of compression should these saws have to be considered O.K.?? Depends on the engine. 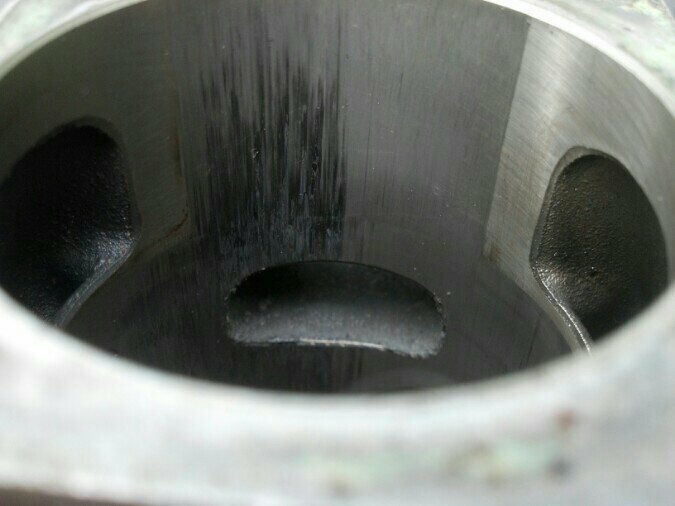 Cast iron sleeve two stroke can be honed. Newer aluminum cylinder with plated liner - no hone. If you had aluminum transfer, you would have acid treated then light sanded. that would have been enough. If the cylinder is in good shape, nothing is needed really, just install and run it. 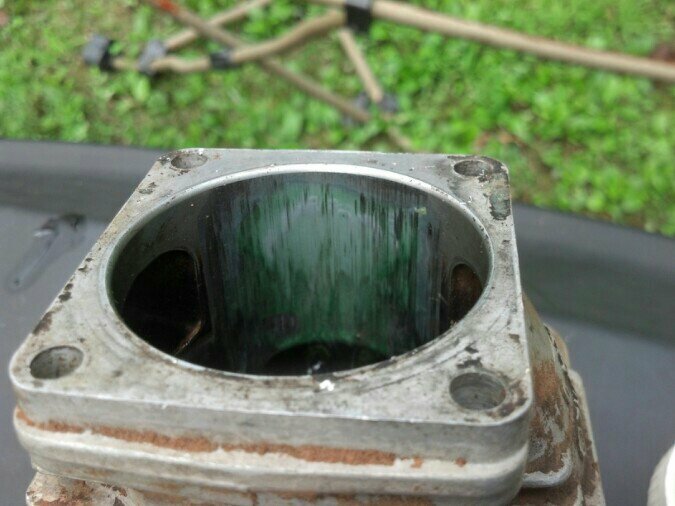 I cleaned up this 660 cylinder earlier today. So you only use a qtip to apply or do you soak a rag? Im not sure what I even have aluminum or cast. Its off of partner 500 and pretty sure they are factory. Q tip to apply the acid. I warmed the cylinders with a heat gun and it will work faster. q tip, you don't need much. really, small amounts, then plenty of rinsing. it will eat your eyes and make nearby stuff rust. Only get it on the aluminum transfer that is over the plating, no place else. it will bubble and smoke and stink while it is cooking/dissolving. Rinse really good, then light sanding. Don't go through the plating. Eventually you will see if the cylinder is worth reusing or not. I did one, after getting the transfer off, had two places with lost plating..no good. edit, who knows might just need very moderate cleaning and new rings. Ya go ahead post up some clear closeup pics of cylinder and piston, let the smart guys look at them. Never hone a nikasil cylinder. Read Whitedoggone’s post.